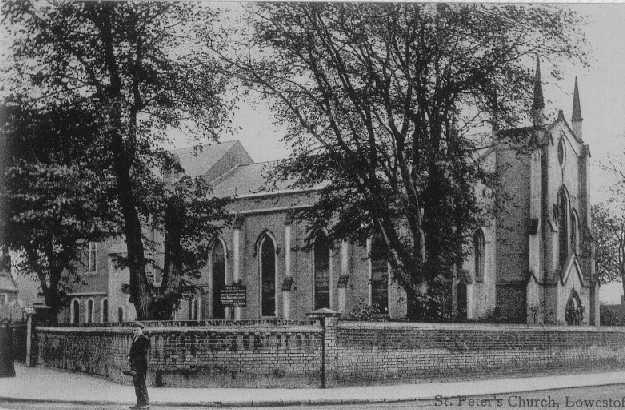 St Peter was the first of Lowestoft's 19th century churches, built in 1833 in white brick by the Norwich architect John Brown, in the 'Carpenter's Gothic' style. It was built as a chapel of ease to St Margaret, the Borough parish church. 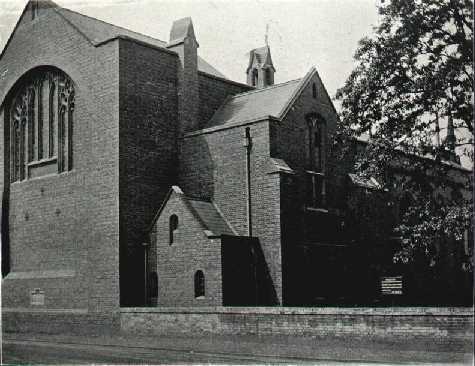 Unlike the similar Ipswich Holy Trinity, there was no tower. 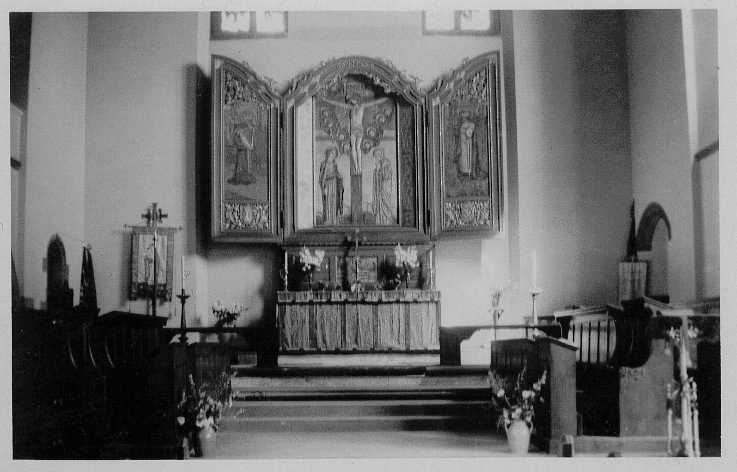 Like Holy Trinity, however, a chancel was added later by a more sacramentally-minded generation. 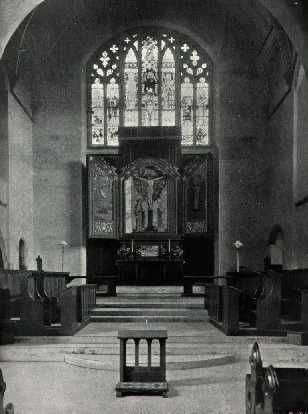 The chancel extension was the 1920s work of E.P. Warren. A grand reredos by William Dacres Adams and Robert Anning Bell was installed. 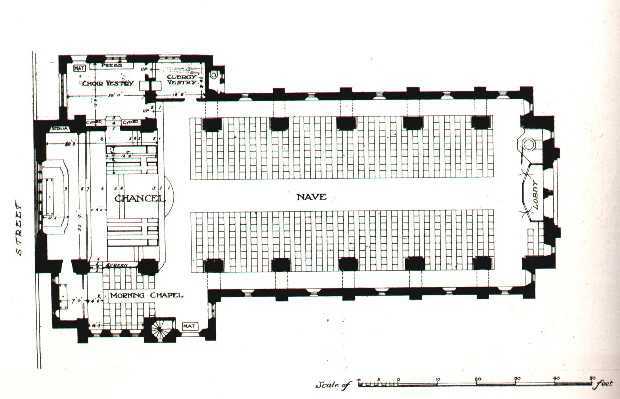 At the time, Warren reported that the church was in poor condition, and recommended the replacement of the nave roof. I'm not clear if this was ever done. 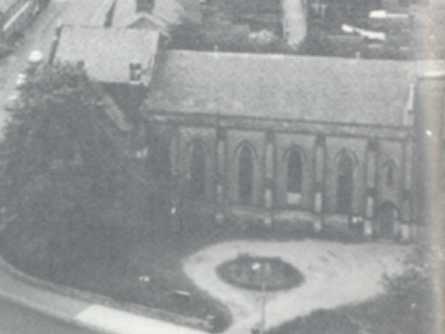 The church was declared redundant in 1974. It was apparently in excellent condition, but the housing all around was disappearing for the giant inner-ring road complex. St Peter's Street is now a dual-carriageway linking the two great gyratory roundabouts of the inner ring road system. St Peter was not in the way of the new road, and was an elegant building, with a secluded garden. However, 19th century churches were not, at this time, considered important by any charitable trusts, no other users could be found, and when the three year probationary period under redundancy legislation had passed, St Peter came down. Sheltered housing now stands on the site. The glass, by Christopher Whall, was, quite frankly, superb. Four lights showed the Evangelists and their symbols, and another between them showed Christ with the Blessed Virgin and St Peter. 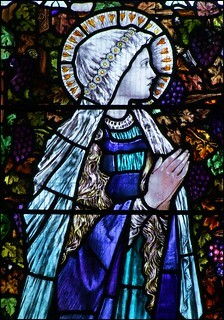 It was all rescued, and reset in the Borough church of St Margaret, where it is by far the best glass in the place. 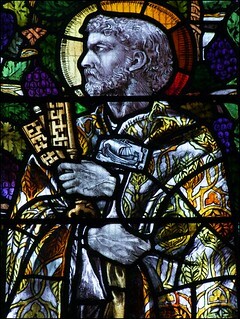 There, the four evangelists have been reset in pairs, with the central three panels in a third window. It works rather well. The reredos was also rescued, and now has pride of place in the north aisle at Wymondham Abbey. Basil Rollason, who played the organ here in the late 1940s, tells me that this instrument was built by Norman and Beard. 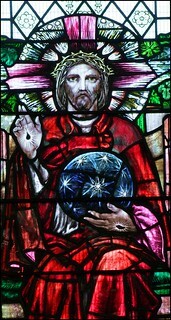 It had two manuals and 20 stops, and was moved before demolition to Lowestoft Christ Church, where it is still today. Some of the benches went to St Andrew Roman Hill. Church explorers may be confused by a nearby church-like structure in Alexandria Road. This is St Margaret's Institute, a parish mission from the late 19th century. This building serves a rather more prosaic purpose today as a motorcycle showroom. The main entrance is cut into the north wall, but, in all honesty, it is done rather well. It continues to contribute to the urban landscape, and has not become a mere ghost like St Peter.